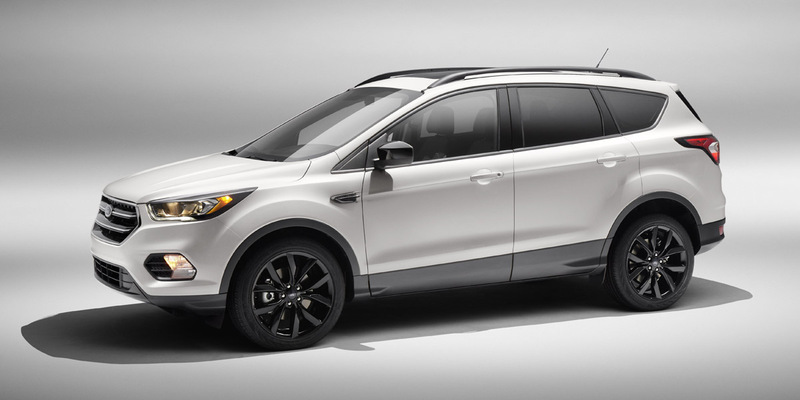 CG Says: The 2019 Ford Escape is essentially unchanged. The SE model gains standard keyless access and starting, SYNC 3 infotainment system, and the FordPass Connect smartphone app. Three engines are offered: a base 168-horsepower 2.5-liter 4-cylinder engine, a turbocharged 1.5-liter 4-cylinder with 179 hp, and the topline engine is a turbocharged 2.0-liter 4-cylinder with 245 hp. All engines use a 6-speed automatic transmission, and both turbocharged engines offer all-wheel drive and have fuel-saving stop/start technology. The Sync 3 infotainment system offers Apple CarPlay and Android Auto functionality. Available safety features include adaptive cruise control, forward-collision warning and brake support, lane-departure mitigation, and driver-fatigue monitor. Escape is smooth, refined, and surprisingly engaging to drive for an SUV. Interiors are comfortable and nicely finished, and cargo space isn’t bad. On the whole, there is a lot about the Escape that’s impressive. Top-line Titanium models can get quite expensive, but we think a modestly equipped SEL hits the sweet spot for performance, features, and value.